Research might show that most people don't believe in ghosts, but that doesn't mean that they'll line up to buy a home they believe might be haunted. A Realtor.com survey reported that 30 percent of people asked would reject buying a home with a shady past. 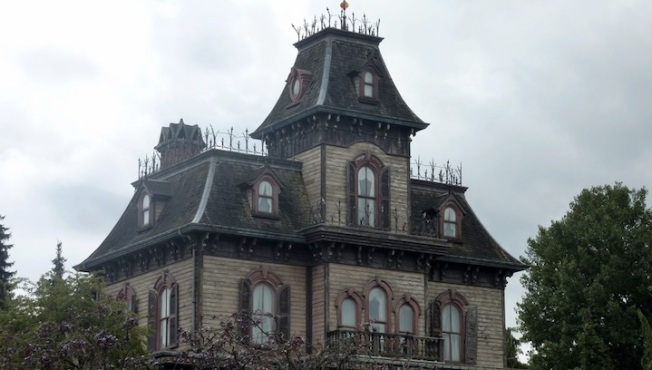 Of the people who would consider buying a "haunted" home, three-fourths said they'd hope for a price reduction. An agent from FC Tucker Co., Diane Brooks, says half of her clients don't mind if a home is near a cemetery, figuring that cemeteries are beautiful and will be well manicured. Most states require sellers to disclose a home's physical issues, but only some require a home's psychological issues be revealed. "Let's say you think your house is haunted. If you find out there was a horrible murder, or someone's body was left in the attic, that could matter. That property could be stigmatized. And that could materially affect the value of the house," said Ilona Bray, real-estate editor of Nolo. There are, of course, the people who specifically seek out homes with a haunted past, and often agents will stress a "haunted" home's historical significance. 12 percent of people surveyed said they would pay full price for a home with such a reputation.